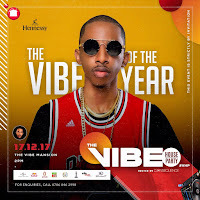 Africa's foremost Disc Jockey and The Vibes Machine - DJ Consequence is set to bring a hugely successful year to a grand close with the inaugural edition of what is set to be Nigeria's biggest house party ever - THE VIBE HOUSE PARTY. 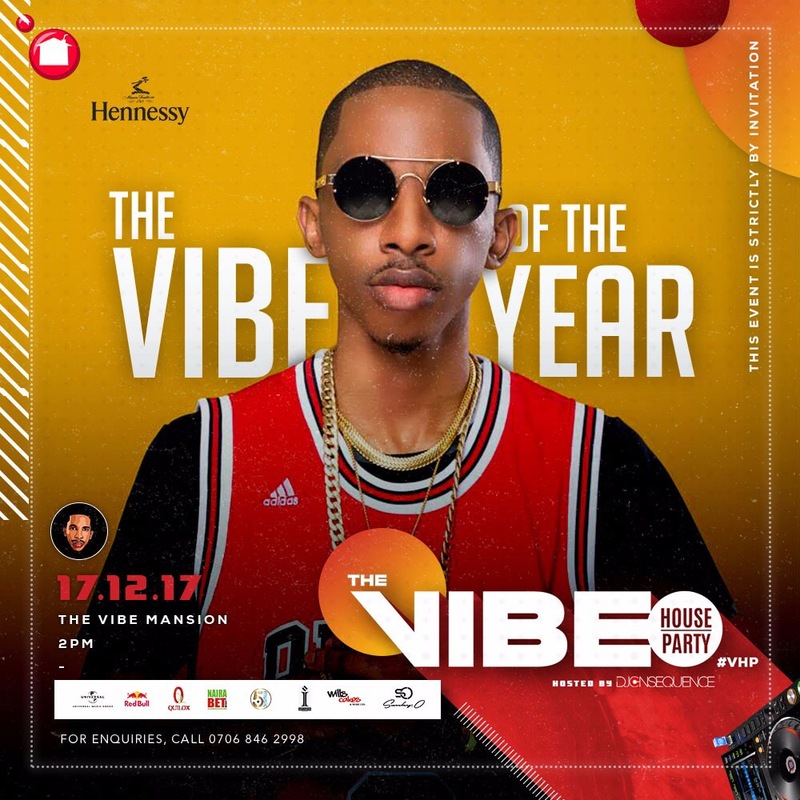 The Quilox and Soundcity FM resident DJ is set to bring the creme-de-la-creme of the society and entertainment industry together at The VIBE Mansion, a secret location in Lagos on Sunday - 17th December 2017, where guests will be treated to an amazing variety of good music, exquisite dancers, lots of food and drinks, as DJ Consequence takes the idea of house parties to a whole new level with The VIBE House Party which is also in celebration of his debut album dropping in the first week of December 2017. With the "VIBE Wednesdays" already a big deal in the industry, hosting the biggest acts, THE VIBE HOUSE PARTY will come alive on December 17, 2017 by 2pm and aims to totally shut down Lagos and make a great impression. What's an House Party without the Vibes Machine? Come experience the biggest house party ever! Follow @djconsequence on Instagram and @DJ_Consequence on Twitter for more info and ticket giveaways. The event is supported by Hennessy.